Have you always wanted to create a completely customized accessory? With GoCustomized, you can make your own Meizu photo case which will suit your style and personality perfectly. You can design it to look exactly as you want it to. Creating custom Meizu cases is quick and easy! First, you select your favorite pictures and upload them to our customizer. Next, you choose the layout of your Meizu photo case. 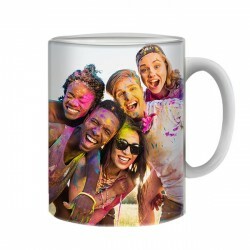 You can create a mosaic of images, place your favorite photo on a colorful background or use one of our templates to design your custom case. 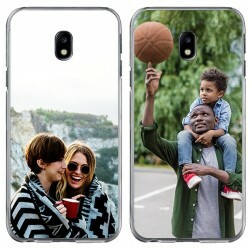 Then, you can also add text to your case. How about including a lovely quote, the name of a family member, or an important date? Your design possibilities are infinite, so just have fun and let your creativity shine! Once you have finished designing your masterpiece, it will be printed with our high-quality UV printers and scratch resistant ink. Your order will be produced and shipped within 24 hours. What are you waiting for? Make your own Meizu photo case now! Are you searching for a unique and stylish accessory for your mobile phone? Then look no further! Here at GoCustomized, we have what you need! With our Customizer, you can create custom Meizu cases and give your phone a one-of-a-kind look. On top of that, designing custom Meizu cases is fun and easy! You start by choosing a design and importing it from your device or social media account. You can use a picture of your latest holiday adventures, a family photo, or a cute snapshot of your pet, for example! Unsure which photo to choose? No problem! 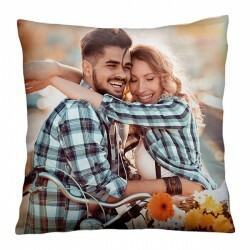 We have already created a large range of beautiful designs for you. If one of them inspires you, why not use it on your own Meizu photo case? 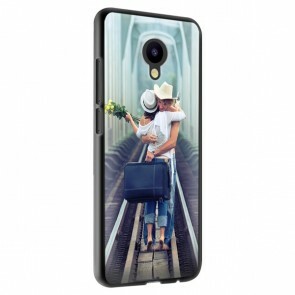 You can also find custom Meizu cases, that other customers have created, on our Facebook, Instagram, and Pinterest profile. Once you have orientated and resized your design and created the perfect case layout, it is time to add text to your custom case! Include a cheesy quote, the birthdate of your daughter, or your name on the case, for instance! This is a great opportunity to let your imagination run free. Start now and make your own Meizu photo case!